296 pp. 13 illus. 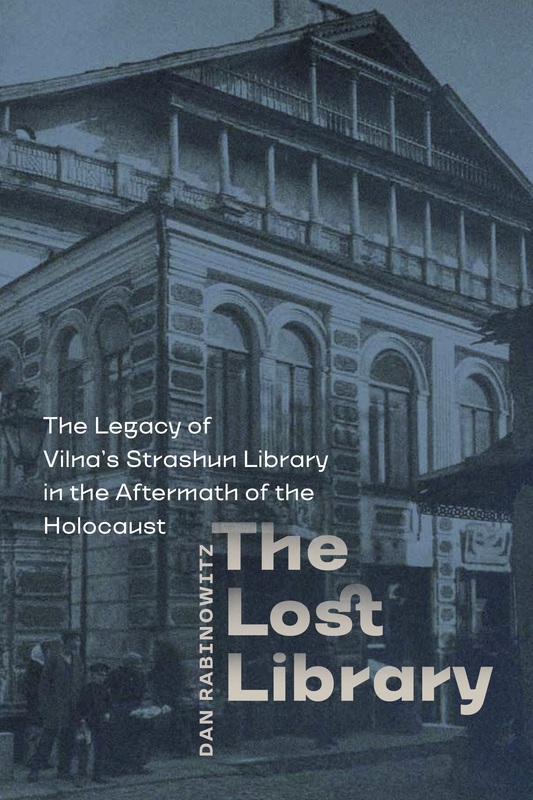 6 x 9"
The Strashun Library was among the most important Jewish public institutions in Vilna, and indeed in Eastern Europe, prior to its destruction during World War II. Mattityahu Strashun, a man descended from a long and distinguished line of rabbis, bequeathed his extensive personal library of 5,753 volumes to the Vilna Jewish community upon his death in 1885, with instructions that it remain open to all. In the summer of 1941, the Nazis came to Vilna, plundered the library, and shipped many of its books to Germany for deposition at a future “Institute for the Study of the Jewish Question.” When the war ended, the recovery effort began. Against all odds, a number of the greatest treasures of the library could be traced. However, owing to its diverse holdings and its many prewar patrons, a custody battle erupted over the remaining holdings. Who should be heir to the Strashun Library? This book tells the story of the Strashun Library from its inception through the contentious battle for ownership following the war. Pursuant to a settlement in 1958, the remnants of the greatest prewar library in Europe were split between two major institutions: the secular YIVO in the United States and the religious library of the Chief Rabbinate in Israel, a compromise that struck at the heart of the library’s original unifying mission. "Dan Rabinowitz has done a brilliant job in his moving and important book...Through the story of the Strashun Library, he gives us insight into the richness and vibrancy of Jewish life in Vilna. He vividly portrays the restoration of the books of the Strashun Library, a testimony to the indomitable Jewish spirit." - Ambassador Stuart E. Eizenstat, Special Representative of the President and Secretary of State on Holocaust-Era Issues (1993-2001), and author of Imperfect Justice: Looted Assets, Slave Labor & the Unfinished Business of World War II (2003). DAN RABINOWITZ is an avid book collector and the founder and editor-in-chief of the Seforim Blog (seforim.blogspot.com), a website devoted to the study of the Hebrew book. His articles have also appeared in Alei Sefer, Hakirah, and Tradition. He is a graduate of Georgetown University Law Center and practices law in Washington, DC. This book is available through the University Press of New England.